This part is sold individually. The printer originally came with two. We apologize for the price. 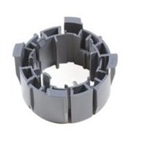 Replacement printer rotary cutter blade for the Epson Stylus Pro 7890, 9890, 7900, 9900 Printers.